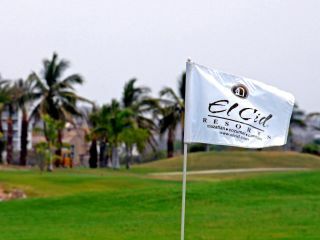 Enjoy the pleasures of playing in our golf course in our traditional event at El Cid Golf & Country Club. 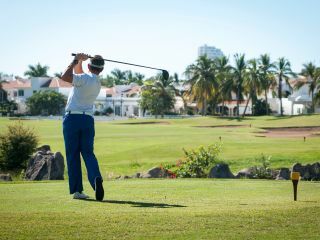 More than 290 golfers from the United States, Canada and México will compete for amazing prizes from November 4-10, 2019 at the 46th El Cid Annual Golf Tournament 2019 that will be held at our three championship golf courses. Since 1973, our Golf Club in Mazatlán, El Cid Golf & Country Club has provided an exceptional golf experience in the heart of Mazatlán’s Golden Zone. The Club is home to our 27-hole, PGA-rated par 72 championship course along with a driving range, putting green and clubhouse. Adjacent to the golf club is our tennis facility complete with nine courts, a sparkling lap pool, fitness facility and spa. Step into the relaxing atmosphere of the clubhouse and enjoy both casual and fine dining experiences at the Sushi Bar and Prime Grill Restaurant or enjoy refreshing beverages and snacks at Hole 19, our sports bar. Unique in design, stunning in scenery, abundant in amenities and painless in price, El Cid Golf & Country Club has it all.